Apart from that I'm quite happy everytime I'm stress I will always go my room , sit down and search for something. No matter what it is. Maybe looking at my room dreaming for few mins , reading my comic book , magazine , see my old album , write my diary or arrange my room. I don't know why I need to arrange all boxes inside my room. Then see what I found!!! YEAAAA I'm veru surprise that it made my day. Make me feel better because I think boy really can't understand but as a pastel , macaron lover!! YOU WILL DEFINITELY CAN'T RESIST THIS ♥ ♥!! YOU CANT!! 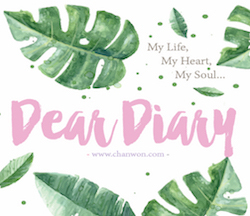 If you notice my blog top banner..Have a bunny.. It designed in this way because my babe Kim (My website designer) know that I have a cute rabbit teeth in fact I always think it's very ugly and look for braces. But still I know my mom love it , my dear love it , Mr.Kitty love it and of course you (although I half love half hate it) Lolll Anyway, I still think bunny look super cute especially their moving nose and mouth + their super adorable teeth !!!! So this time you can get something similar with this product I'm going to share with you!! I told you it's super cute!! See even the macarons was my favorite color. It wrote there you can have a smooth , tasty and yummy skin like macaron. OMG SO SWEET LEH THIS QUOTE. If Mr.Kitty praise my face with this quote I guess I can't sleep because it's what we want to achieve for our life!!! So true right?? OMG CAN YOU SEE THIS? Even their instruction and picture behind include this cute little bunny too! OMG it's just tooooooooo cute. HAHAHAH I know I'm abit crazy or too stress but I feel that I look like ultra-man with a white mask on! 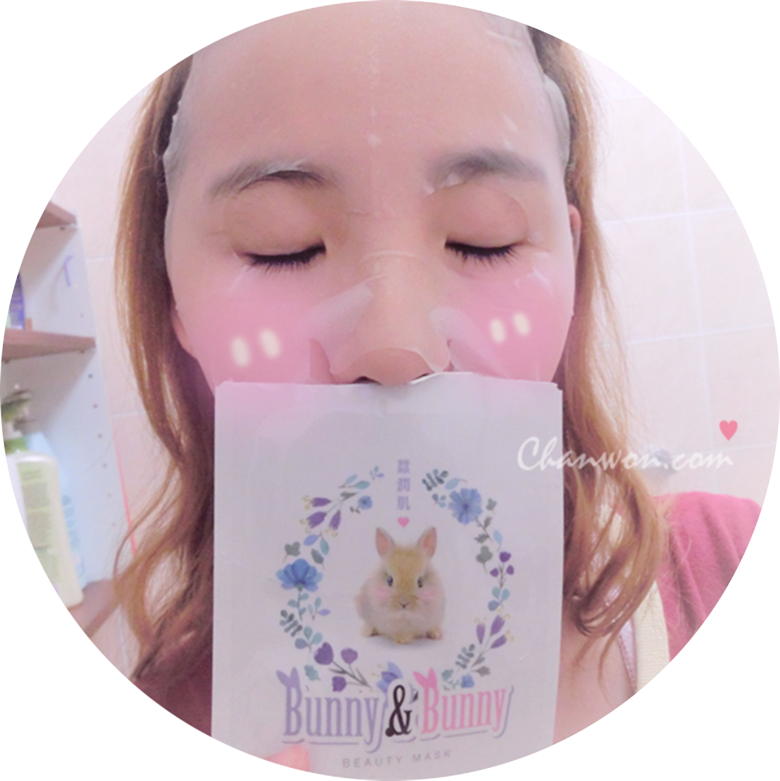 Lolll I'm single eyelid girl I wanna try their transparent eyelid tape toooo~ Wait I get then I review it ya :) As usual the mask sheet contains 2 layer. One is the one suppose to put on your face and another one need to tear off one. The texture of this mask sheet not as soft as those silk type of mask but just nice because (I personally think it's nice) because it can hold lot of essence in a single mask sheet. I take it out from the packaging and when i squeeze the mask sheet I can feel that it's really good in term of that. Some other mask once you open whole liquid inside the packaging will pour out very easily and therefore the mask couldn't absorb all the great things of their ingredients but this.. I can tell you it wont. I take off the mask sheet after 30 mins because I think it's the best time for me since the mask really contain lots of essence. The essence is quite concentrated not like those very 'liquid' one. That's why I love it. After 30 mins take off the mask I placed it again on ♥my neck ((this is what usually I did )) Save money and fully utilize whole piece of mask. Next if still remain some essence on it you can put it again on ♥your arm and your knee. AND AND one thing I love about this is once I tear off the mask sheet I can see my skin tone instantly become brighter than my actually skin tone. I feel good and look at my expression. I really think this help me so much in term of their moisturizing level too. I need to massage my face because there are still some concentrated essence remain on my skin!!! Since it's almost X'mas & NEW YEAR!! Rosy Rain Malaysia came out with a super nice deal promotion for ALL OF YOU!! YEAAA!! Like their page for another promotion ( Will be publish soon on my next post about their serum) So here's the latest promotion !